Self-hosting is a deployment option WalkMe offers in order to enhance the security of WalkMe on your site. 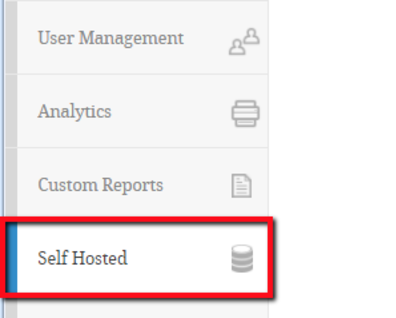 Self-hosting allows you to to keep all of your WalkMe content files on your servers to disconnect dependency on outside servers. WalkMe customers include SaaS vendors and financial institutions that all value highly secure networks and services. In response to the need for this highly secure architecture, WalkMe offers a self-hosting feature. In this model, WalkMe items are initially created on WalkMe servers and then downloaded and uploaded onto your server. Your devices operate on an intranet. In the self-hosted model, the WalkMe content creation process is done on WalkMe servers. Once the items have been created, they are downloaded as a zipped file (compressed file). This file can then be uploaded to your servers. When an end-user accesses your site, WalkMe places a call to your servers directly and not to WalkMe servers. In order for WalkMe to point to your servers, your CSM must configure your snippet. Every time a change is made to your WalkMe content, it must be re-published and the WalkMe files re-downloaded.